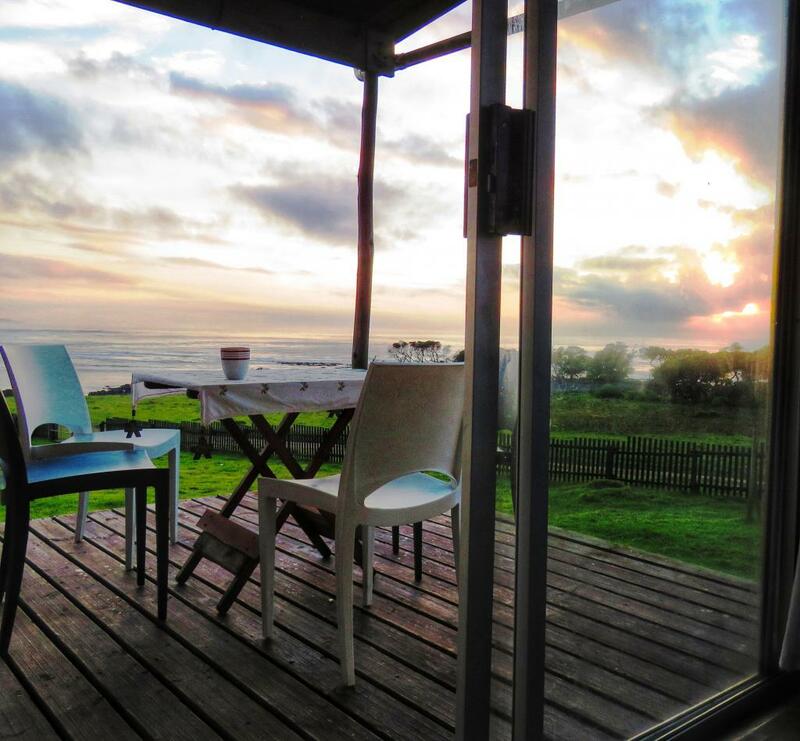 This much-loved family cottage is situated between the river and the sea at the beautiful Xora Mouth, mid-Wild Coast. 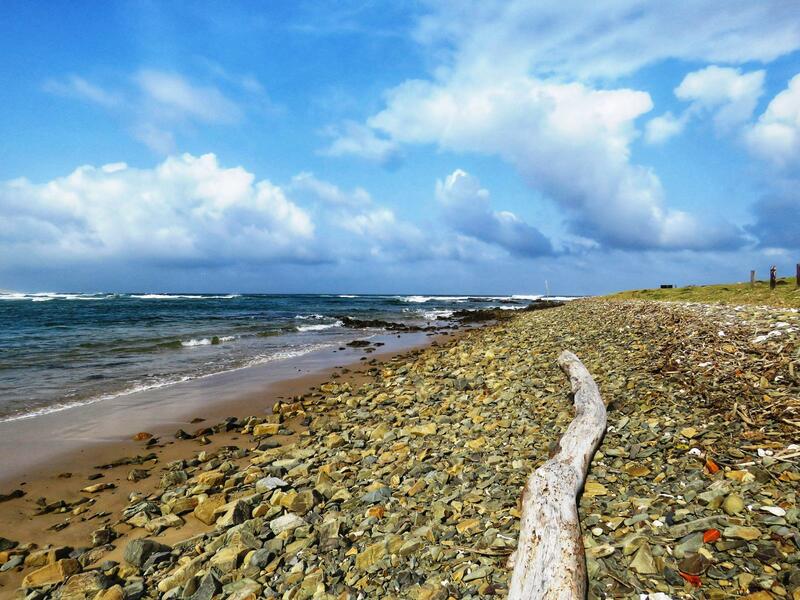 To adventure here is to step way off the beaten track. It’s where kindred spirits pause the busyness and give themselves space to regenerate. The cottage has been in the Bennett family for close to 50 years. Over the years, it has been transformed from a basic fisherman’s shack to a comfortable home from home for a family or a few couples. 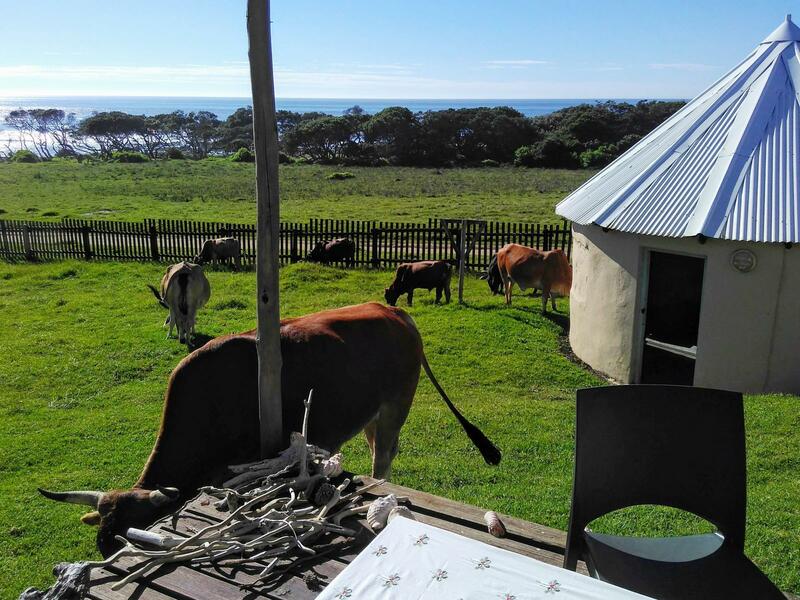 But it has never lost its humble beginnings – it is still a real Transkei beach cottage (although, these days, it has electricity and an indoor bathroom). 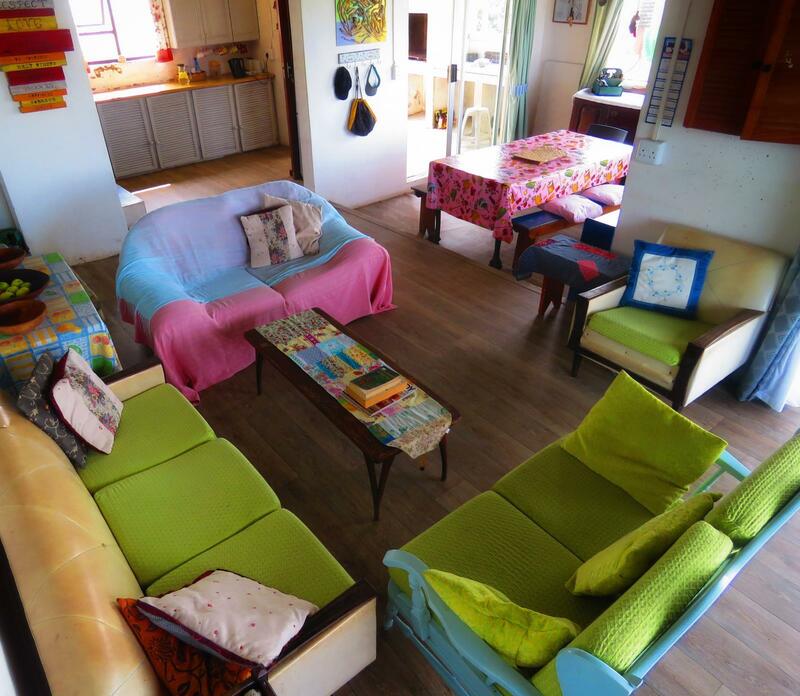 The cottage has three bedrooms, including a hut, that can accommodate six adults and four children. Each bedroom has a double or queen bed and a few singles and bunk-beds suitable only for children. Linen is supplied, but you will need to bring your own towels. The kitchen is equipped with a stove, fridge, chest freezer, microwave, toaster, kettle – and even an ice-maker. Crockery and cutlery is supplied. 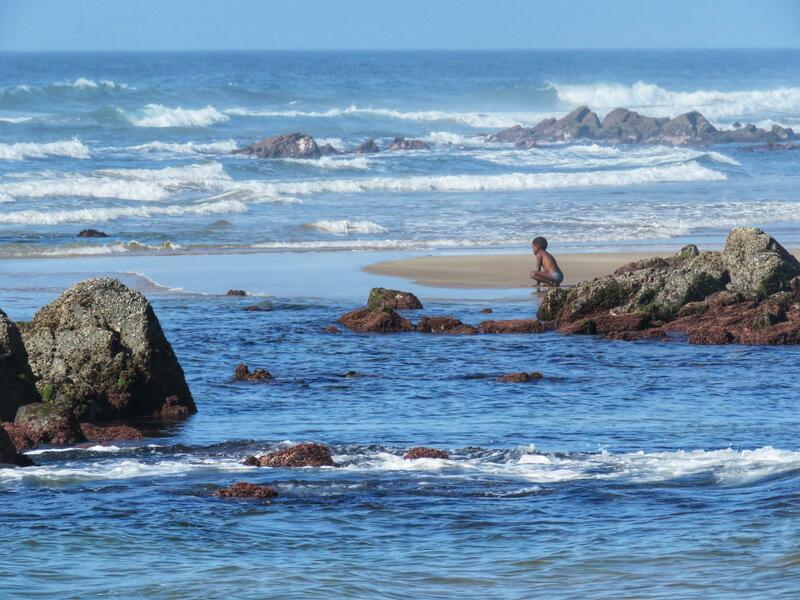 Xora Mouth (or Xhora Mouth) is situated between Ntlonyana and Bulungula, just south of Coffee Bay and Hole in the Wall. 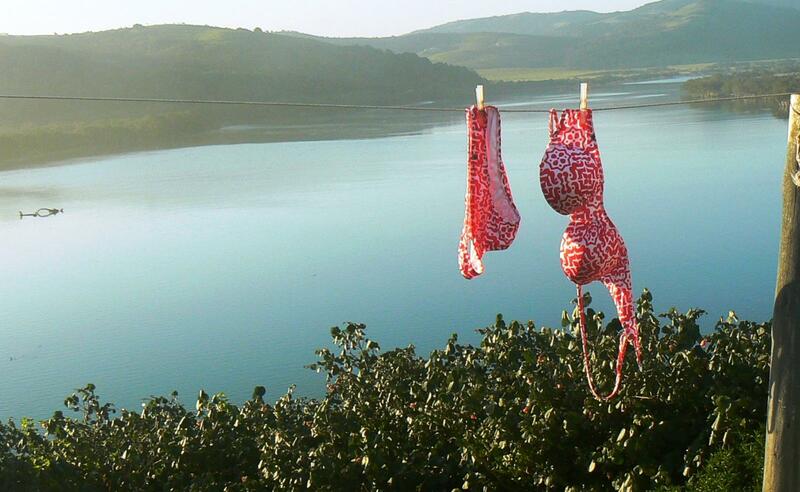 The cottages (just 12 in total) are wedged between the Xora River where it loops around an island of mangroves, a beach still lined with milkwood trees, and the mouth of the Xora River itself. Here, life ticks along with the river. 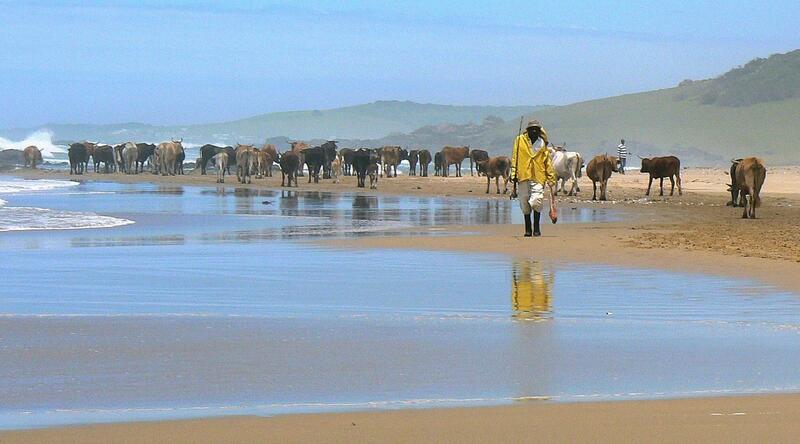 At low tide, you may see people and even cattle crossing the great sandbars that sweep across the breadth of the river. At high tide, watch the breeze create ripples on the water that swells to cover not just the sand, but also the mangrove swamps. 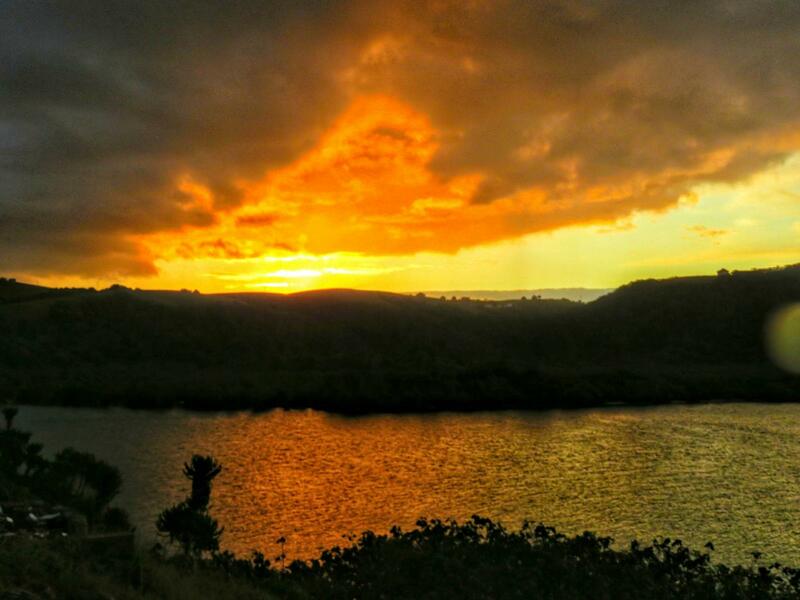 Sometimes, the river is as smooth and calm as glass, reflecting magnificent sunsets. Perhaps you will take a boat up the river and wind between the fields and homesteads that have changed little over the decades. Always, listen for the cry of the fish eagle. On the beach, wander south towards the cliffs of Nkanya, dipping into the (usually) warm Indian Ocean or a myriad of sparkling rock pools. 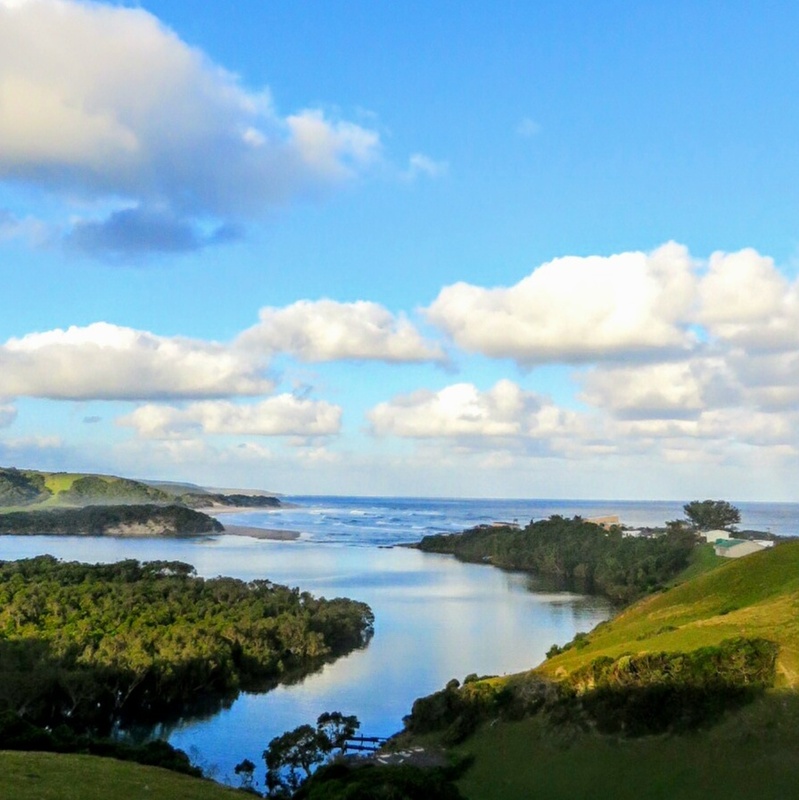 Or cross the river and wander north along the bay to Bulungula. 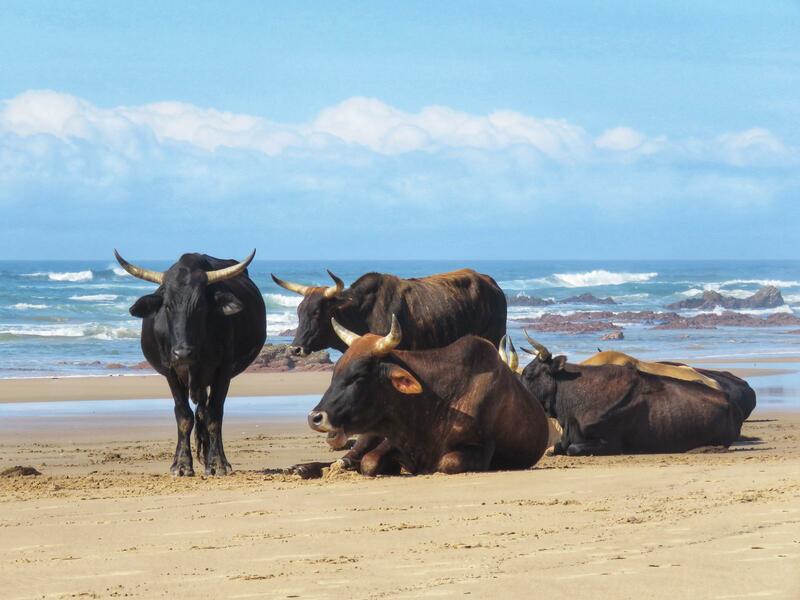 You’ll have indigenous Nguni cattle – big, gentle creatures – and seabirds for company. While local women and their children forage for food on the rocks, as they have always done, you’ll be enchanted by the rich shell beds.